FEATURES/SPECS Got a cigar lover on your gift list? 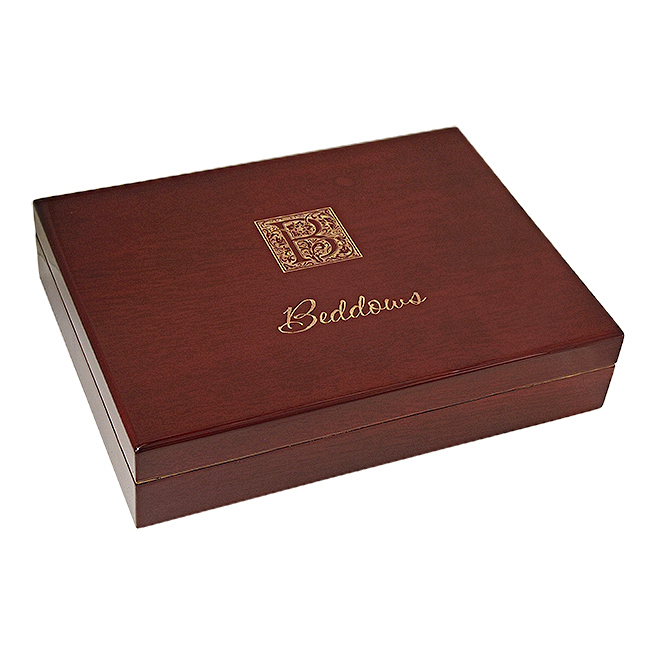 This monogrammed cigar humidor may just be the perfect gift for them! 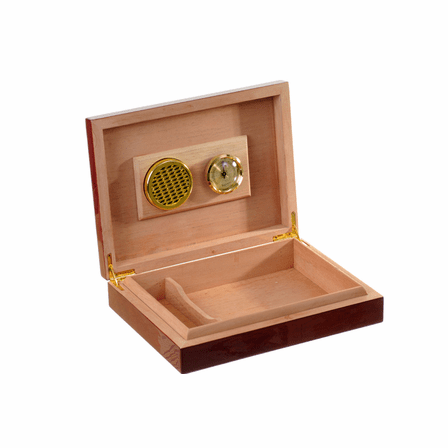 Its made of solid wood with a lustrous rosewood finish and brass hinges. 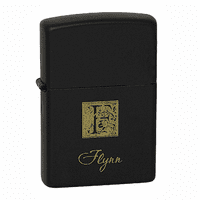 It comes with a monogram of the recipient's last initial along with the last name below it in a script font. 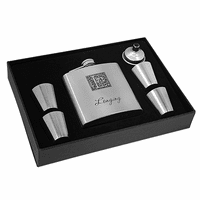 Both are laser engraved right into the lid free of charge. 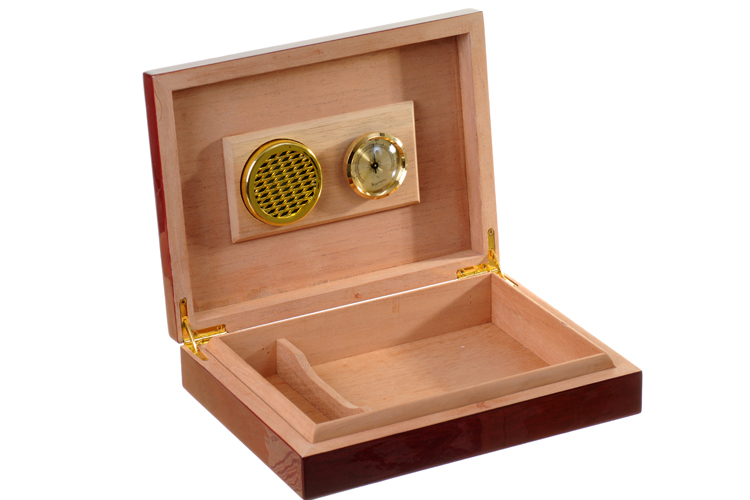 Inside, this monogram humidor holds up to 30 cigars and keeps them fresh with its spanish cedar lined interior. It also includes a hygrometer and humidifier that are attached to the inside of the lid.